At the Wolfson Law Firm, our Miami Motorcycle Injury Attorneys are tasked with presenting our motorcycle accident injury clients’ cases in the most compelling and convincing manner to encourage a reasonable settlement or a fair and complete jury verdict. Our personal injury attorneys in Miami understand that to do this effectively, the personal injury team needs to gather all the evidence. We can explain our process and answer your questions in a confidential and free consultation. Just call us at (305) 285-1115 today and we will help you in any way we can. If you were injured in a motorcycle accident and want to file a claim or lawsuit you will have the burden of proof. You will need to prove what the responsible driver did to cause your injuries. In legal terms, you will need to prove that that other driver breached his or her duty of care and that breach caused your harms and losses. You will also likely need to prove that you, as the motorcycle rider, did not cause or contribute to the cause of the motorcycle crash. If there is evidence that you and the driver did something wrong, then comparative negligence principles apply in Florida. Our personal injury attorneys in Miami usually explain to juries that comparative negligence is basically the assignment of fault by percentages. The jury award is then reduced after trial in accordance with the jury’s verdict on the percentage of fault. If you would like a more detailed explanation, we would invite you to call our Miami Motorcycle Accident Litigation Attorneys at (305) 285-1115 to schedule your free consultation. Assuming that law enforcement came to the scene of your motorcycle accident, then a report will likely be made. Accident reports can contain valuable information including road conditions, weather and lighting. The investigating officer will also list witness names and contact information. In Florida, the officer will not testify to what the drivers said due to the accident reporting privilege. But the police officer can testify to what they personally observed. Those observations can include skid marks, debris fields, and property damage and scene descriptions. At a minimum, the observations of the investigating police officer can assist other experts determine possible causes of you motorcycle accident and injuries. Make sure you keep your helmet and the helmet of your passenger if at all possible. Get photos of the helmet at the scene and afterwards. Do not use it again – it is important evidence. Furthermore, it is possible that the helmet is no longer crashworthy and may not be safe. As evidence, it is proof that you were actually wearing a helmet and a jury would likely take that into consideration. The helmet can prove the severity of the impact you suffered. Save your clothing if possible. Best practice is to put it in a plastic bag and give it to your Miami motorcycle injury lawyer for safekeeping until trial. Your shirt, pants, shoes, jacket and other articles of clothing can really help a jury understand what happened to you in your motorcycle crash. If you follow the “rule of 8” you will most likely get the photos you need to prove your case. Specific to motorcycle accidents you would also want to take pictures of skid marks, paint transfers, debris and damage to the asphalt or road way. If you can, take photos of the other drivers and the overall scene of the motorcycle wreck. Remember, this will be your only opportunity to get photographic evidence at the scene. Don’t waste that opportunity if at all possible. If you were involved in a serious motorcycle accident, you might not think to look for surveillance tapes. But if you can at least make a note of any possible sources of video tapes including street cameras, red light cameras and even local businesses it could be invaluable when it comes to negotiations with the insurance company or proceeding to trial on your motorcycle injury accident case. 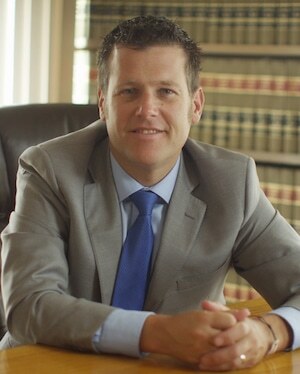 The testimony of witnesses can make all the difference in the world if there is a dispute as to who was at fault for the accident. You cannot depend on the police to get all of the witnesses or for them to take complete witness statements. The Miami personal injury lawyers at the Wolfson Law Firm will have investigators locate witnesses and make every attempt to secure their cooperation. 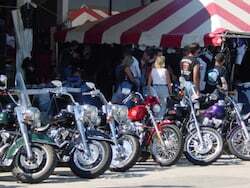 If a lawsuit is filed our motorcycle lawsuit lawyers will subpoena the witnesses for depositions and trial if necessary. If you were involved in a motorcycle crash, you will likely undergo experiences you never imagined. It is unfamiliar and sometimes, scary. Our Miami personal injury attorneys recommend to our clients to keep a notebook following a serious motorcycle accident. You might have heard the other driver make some admission that could be admissible at trial. You should make a list of your injuries and questions for your lawyer. Again, this is all new and unfamiliar so it is best if you keep a notebook that you will only share with your attorney. Our team of personal injury professionals in Miami are here to help you and your family. We offer full representation from your first call through settlement, trial or appeal. We have a bilingual staff and our Managing Attorney Jonah Wolfson is a bilingual motorcycle injury attorney here in Miami. At the Wolfson Law Firm we serve motorcycle accident victims from all over Florida including Miami, Fort Lauderdale, West Palm Beach, the Florida Keys, Broward County, Palm Beach County, Monroe County and Miami-Dade County. Just call us today for your free confidential consultation at (305) 285-1115 and allow us the opportunity to help you and your family.